I've spent a long time waiting for the moment, and it's nearly here. 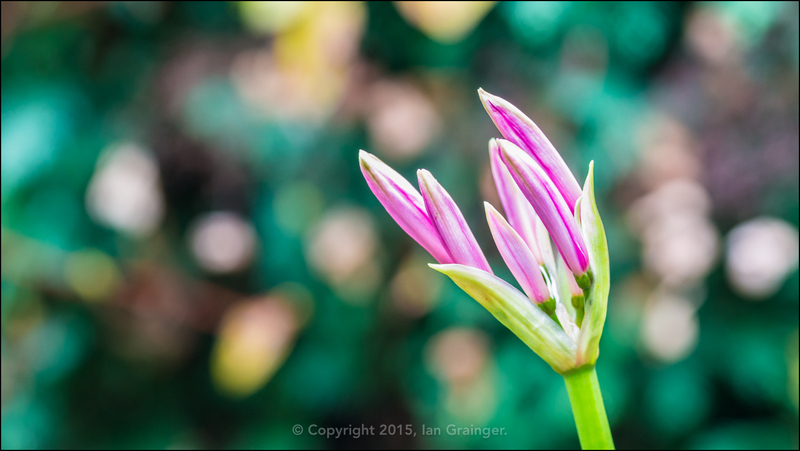 I planted a small collection of Nerine bowdenii bulbs back in March, and they have almost fulfilled their promise! 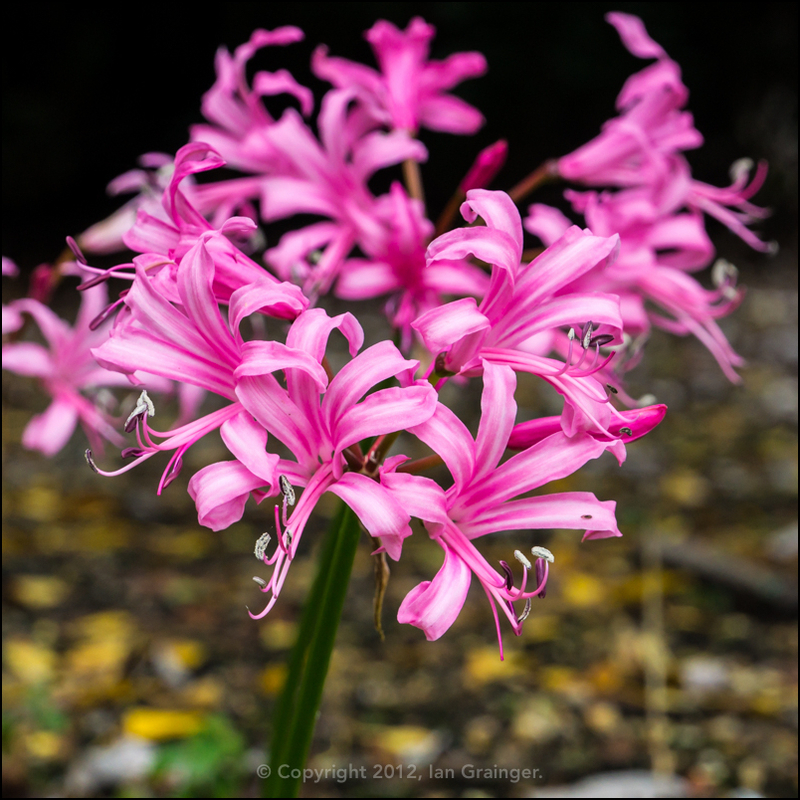 I've never grown Nerine's before, but ever since seeing a stunning exhibition of them at Exbury Gardens a few years ago, I've wanted to give them a go. Although quite exotic looking, and commonly called the Guernsey lily, they actually originate from South Africa, and are quite hardy. I'm growing mine in terracotta pots in a sunny location on the patio as they prefer baking hot conditions. However, they will apparently tolerate quite cold temperatures, down as low as -15°C! I've been worried that the recent stormy weather would hamper the progress of the blooms, but they seem to be holding up very well. I've got my fingers crossed that the flower buds will open up, and will maybe provide me with another Image of the Week soon!